I feel my face flush and my ears get warm when she asks me the question. It was just the third day since my precious bundle had been born. We were gathering our things to leave the hospital and my midwife came in to have me sign the discharge papers and go over postpartum care with me. "Do you have a history of depression?" The words leap up suddenly out of a list of mundane questions, the kind that people always say "no" to. When I don't answer in the negative right away she looks up at me expectantly. What's wrong with me? I am the one who had come out on top of this beast before. I am the one who fumes at the cultural stigma surrounding mental illness. Why am I acting embarrassed? I'm embarrassed because my midwife has unknowingly struck a nerve where a paralyzing fear lies dormant: Am I going to be a good mother? I've journeyed through the darkness of depression before. You know those scenes in war movies when a grenade goes off? The soldier is shell-shocked, reeling from the blast. The film editors pull you into his perspective, blurring the scene, camera jarring as he shakes his head to try to make the high-pitched whining cease. Besides that noise there is silence. He watches as the world around him seems to happen in silent slow-motion. It continues to move forward while he staggers, feet rooted to the ground like lead weights. I walked through this tunnel feebly clinging to my faith. Thanks to some counseling at church, patient support from my husband, and lots of prayer from family and friends, I emerged victorious. Not victorious like I did a fist-pump in the air as the sun shone down on me, but victorious like I washed up from a shipwreck sputtering and gasping for breath, kissing the ground and thanking God I survived. Fast-forward to my pregnancy, one of the most joyous seasons of my life, except when doubt crept in. I worried that I was predisposed to postpartum depression. Tiny little thoughts would gnaw at me. Horrible, terrible, awful thoughts. 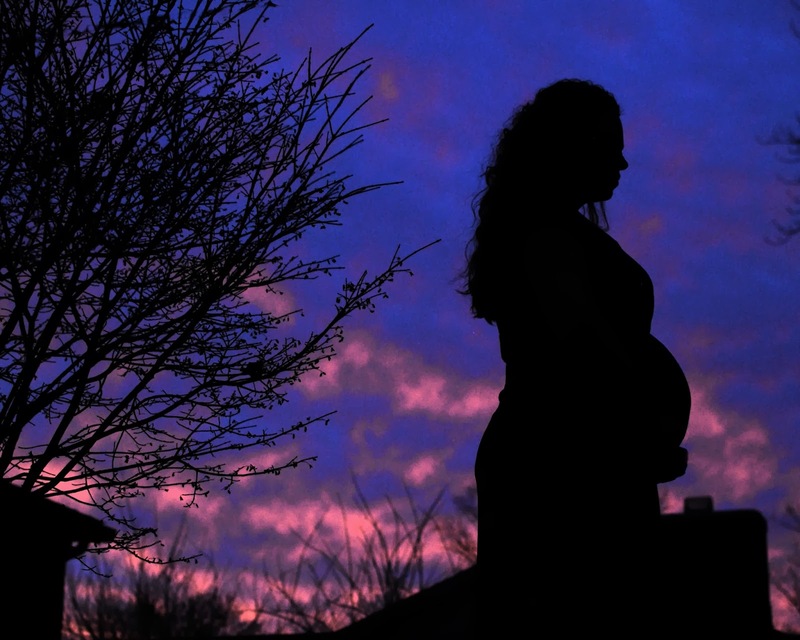 What if that darkness swallows you up while you're a mom? What if you can't breastfeed because of this? What if you hurt yourself and can't take care of your baby? What if you are a terrible mother? What if you are too numb to love her? I was tempted to give in to this despair and huddle in a corner and weep. And hear me now: if you have to do this sometimes, that's okay. But I knew there was a lot at stake. So I formed a plan of attack. This plan has helped me, and may not work for you. But if you are in a fog yourself, you may want to give one of these things a try. Tell someone. 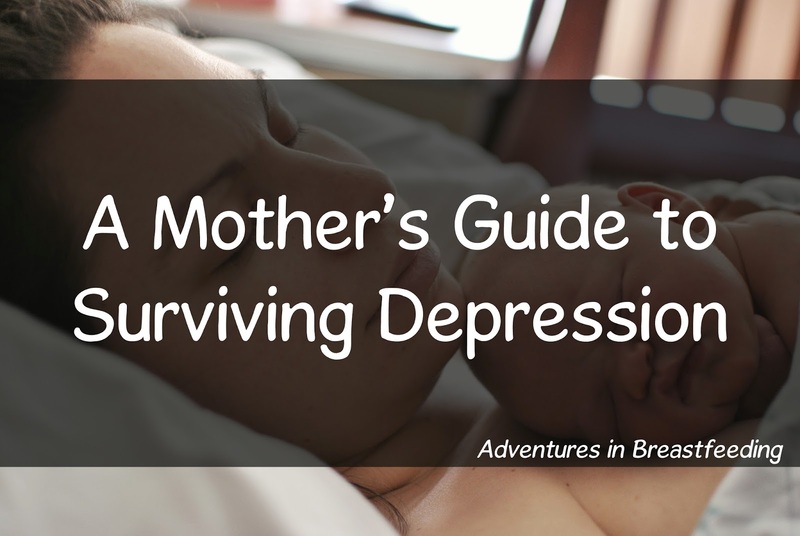 I was open with my husband about my worries that I would experience postpartum depression. I promised him that after baby came, I would tell him how I was feeling instead of shrinking inside myself. He told me he would check on me frequently and help me find words when they were difficult to say. Planning ahead of time to talk with each other was important because depression makes me want to cower and hide from the world. It is a battle. Give yourself permission to feel everything, except silly. Don't be afraid of feeling silly for being dramatic and calling this funk "depression." When I was depressed I felt embarrassed and ashamed, like maybe I was being melodramatic or trying to get attention. When my husband would check on me it felt awkward to say the word "depression." It's okay to feel depressed. It's okay to call it that. Help yourself. Moms are notorious for putting themselves last. Before I had a baby I wasn't much different. But depressed me was in survival mode, napping when I needed to and asking my husband to boot me off the couch when I needed to get outside. My faith is my foundation so prayer was important. I found that drawing, journaling, listening to meaningful songs- those things helped me cope, even though the fog didn't recede altogether. I went to a counselor for several months and it worked wonders. Do what you need to do to survive. Talk to your care provider. Don't automatically exclude medication because you are breastfeeding. Talk to a doctor, midwife, or IBCLC about how you can navigate postpartum depression while you are breastfeeding your baby. They can help you think outside the box about how to care for yourself while making sure baby is safe and healthy. As I worried during my pregnancy, I also prayed and remained diligent in forming my plan. I knew if that murky fog settled in after my precious baby arrived, it wouldn't be easy, but I would be on the offensive. Depression is an ugly thing, but surviving it is a beautiful thing. The hospital room seems to shrink and the words linger loudly in the air. Do I have a history of depression? My arms are warm as I cradle my sweet baby who is depending on me to nurture her. I will myself to be brave and look my midwife in the eye. I remember that I am stronger than that darkness. "Yes," I say out loud, and I finish my thought in my head: but I am ready. I was fortunate that I didn't experience postpartum depression. I did have low days and leaned heavily on God and my husband for support. I know my history with depression means that depressive episodes are a real possibility in my future. Are you feeling numb, blue, or just plain weird? Even if you're not sure it's postpartum depression, please tell someone you love about how you're feeling and contact your care provider for help. You can read more about PPD and suggestions for coping here. Wow, Laura. You really helped paint a picture of what depression is like. Thanks so much for sharing.